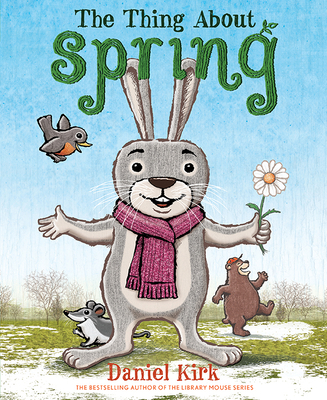 "[A]nthropomorphic touches, like Rabbit’s scarf and Bear’s ball cap, give the characters a bit of personality, while the drab (but brightening) palette evokes the dissipating gloom of spring’s earliest days." "In a pleasing nod to young readers' enjoyment, the text makes good use of repetition and pattern...[t]he animals are appealing in their appearances and in their obvious devotion to one another—even to the Eeyore-like Rabbit." "A fun and engaging addition to seasonal collections."